My year is broken into two pie seasons (ehhh…maybe three, actually): spring, summer and Thanksgiving. (T-Day is just one big ol’ pie season unto itself!) Summer is usually when my fruit pie game is strong. If I’m not doing pies than cobblers are usually my move. And during Spring I usually start getting into pies by way of a crumble or something. I like to ease into it and I did, just last week with this Rye Rhubarb Walnut thingy. Today, I’m going all in. PIE! 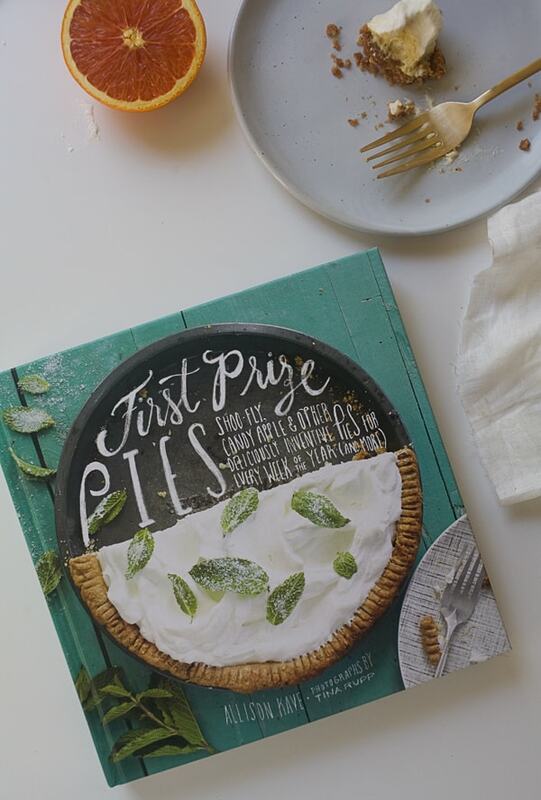 This pie comes from my newest cookbook crush, First Prize Pies by Allison Kave. It’s full of pies for every month of year. The pictures are really pretty, the flavor combinations are interesting and delicious-sounding and the book is beautifully formatted. I know we’re in April but I ended up settling on a pie from October chapter and swapping out regular oranges for cara cards, but feel free to use what you can find at the grocery store. I sometimes imagine what it’d be like to run a pie shop. In my dreams I’d own one. It’d also be in a dreamy land in which I could run a pie shop, bake a bunch of pies, be blind to spreadsheets and magically sleep 8 hours a night. I know this land doesn’t exist and running a pie shop would require me to worry about a gamut of unromantic, un-pie-related things. Have I told you how much I hate spreadsheets? Anyway, maybe one day it’ll happen. I’d love to feed people in real life, in real time. It’s a dreamy dream. Speaking of dreams…this right here is a dreamsicle…I mean, creamsicle! It’s a pie that tastes exactly like a creamsicle. It’s perfect tart and creamy. The crust, made from vanilla wafers (you can make your own but I used store-bought because I didn’t prepare correctly), is so tasty and about a million times easier than traditional pie crust. This pie is perfect to get you amped up for summer pies. We’re not quite there yet. To make the crust, preheat the oven to 350 degrees F. Crumble the cookies in the work bowl of a food processor and process until finely ground. Alternatively, you can put them in a bag and whack them with a rolling pin until finely crushed. Pour the butter into the crumbs and mix (hands are the best for this) until the butter is fully incorporated and the texture is that of wet sand. Firmly press the crumbs against the sides of a 9-inch (23-cm) pie pan, then against the bottom of the pan (the underside of a measuring cup works well for smother the bottom crust). Chill the crust for at least 15 minutes to help prevent it from crumbling when serving. Bake the crust for 10 minutes, and then let it cool completely. Make the filling: Put the egg whites in the fridge to keep cold. Beat the egg yolks with 1/3 cup (65g) of the sugar until light and frothy. Beat in the orange juice, liqueur, vanilla, and salt. In a separate small bowl, sprinkle the gelatin over 1/3 cup (75ml) cold water to allow it to bloom. In a double boiler or in a metal bowl set over a pot of simmering water, whisk the yolk mixture constantly until it's slightly thickened and just coats the back of a spoon (a digital-read thermometer will read 175 degrees F when it's done). Remove it from the heat and slightly whisk in the gelatin mixture until it is completely dissolved. Put the mixture over an ice bath or in the refrigerator, stirring occasionally with a spatula, until it reaches room temperature. Once the yolk mixture is at room temperature, make a meringue. In a clean, cold metal bowl. beat the whites until soft peaks form. Slowly add the remaining 1/3 cup (65g) sugar and beat until stiff peaks form. Gently fold the meringue into the yolk mixture in 3 to 4 batches, until it is fully incorporated. Be careful not to over do it, so the chiffon doesn't deflate. Pour the chiffon into the pie shell and refrigerate it for at least 2 hours. Make the topping: Using a hand mixer, or by hand with a whisk, whip the cream, sugar, liqueur and vanilla together until stiff peaks form. Dollop the whipped cream onto the pie surface. Sprinkle with orange zest and serve. This pie can be made ahead without the topping and refrigerated for up to 1 week, covered in plastic wrap. Make the topping just before serving. I love your voice. Also you make me want to bake things. As soon as I leave NYC! 1) That shrug emoticon has changed my life. It is my new favorite thing. 2) That cookbook cover is stunning. 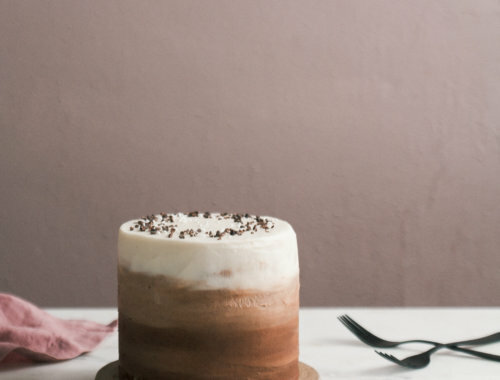 3) I wish spreadsheets and owning a bakery didn’t have to go hand in hand too. 4) Pie season is the best season. 5) I’m obsessed with creamsicles, so THIS. I’m so ready to move to summer pies! The vanilla wafer crust sounds amazing. 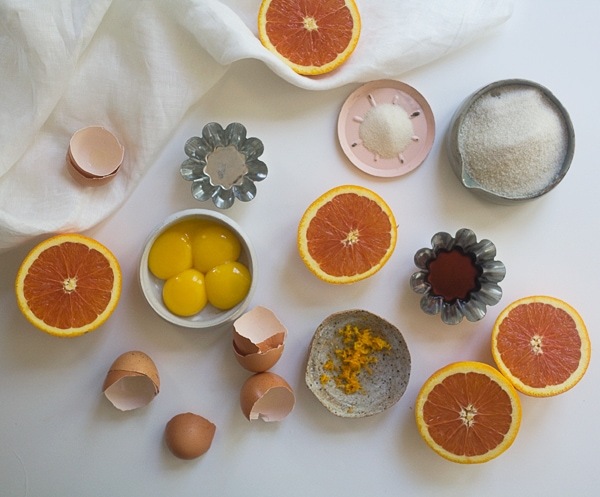 I might try this with blood oranges to make a pretty pink pie. Your inspiring me to bake!!! Love this pie. Add me to the list for those that love creamsicles 🙂 This is so elegant and beautiful! What does this pie taste like? I can’t imagine it. Have you never had a creamsicle? It’s orange and cream. 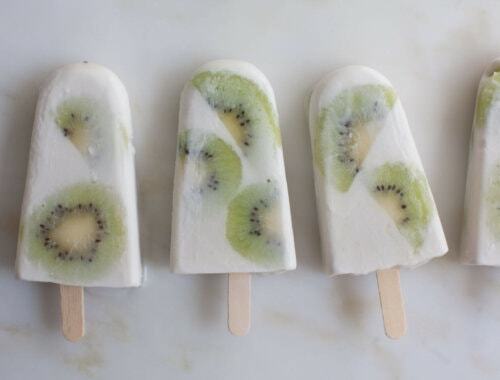 Bright, sweet, tangy and creamy! I would totally fly to CA to visit your pie shop! This looks super dreamy. I have the same thoughts on owning a bakery…the logistics and hours would make me cry. But, I still dream! Speaking of…this pie is a total dream-boat. So in love! I saw your recipe contained Cointreau and it was sold to me there and then! I love to make homemade pie – much better than shop bought and yours has gone to the top of my list. Thanks for sharing. Such a stunning pie! Love the flavour! 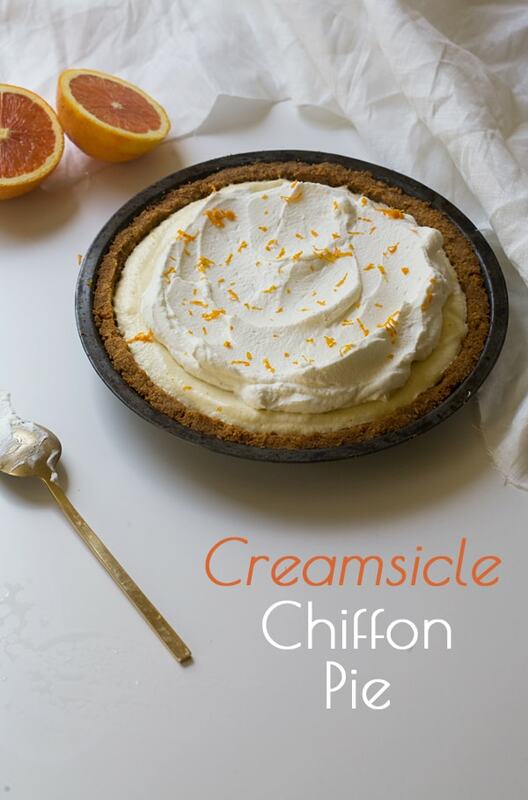 Creamsicles were a favorite of mine growing up but I can’t remember the last time I had one…this pie looks like it would take me down memory lane and I love it! Growing up we made the poor man’s version of this- graham cracker crust, orange juice concentrate+tub of whipped cream+ quart of vanilla ice cream. It was delicious but I bet this is way better! Do you think this would work with grapefruit juice? I’m digging the pie but have some grapefruit I’m trying to use. Thanks! Oh most definitely! I think it’d be great with grapefruit. 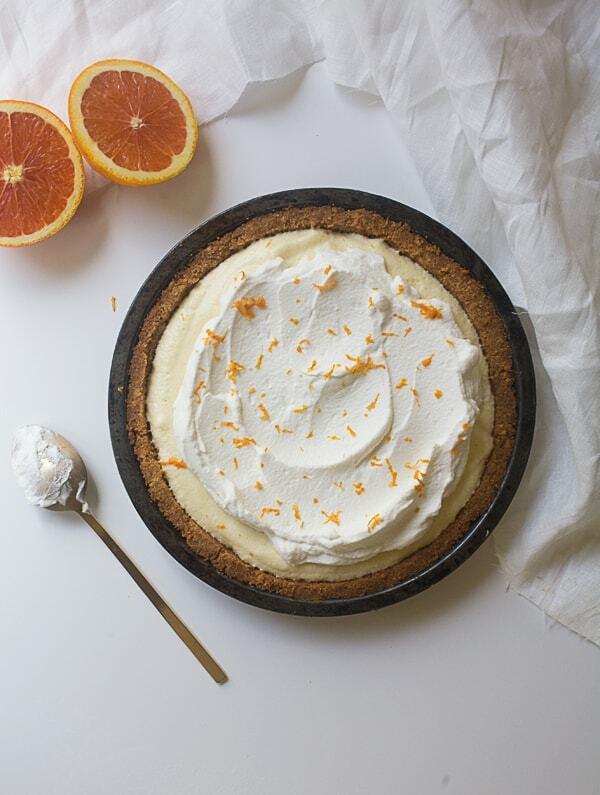 I would take this pie over an actual creamsicle any ole’ day. What is it about pies that just make me swoon? It’s a certain kind of strange nostalgia, seeing as I didn’t have a pie-filled childhood or anything. Sad, I know. 😉 That cookbook looks gorgeous… it’s going on my “list”. Thanks for sharing! I love cara caras, such a pretty pie! Weird question but where is your silverware from? It’s beautiful! I used to make a lemon version of this (from the Betty Crocker Old-fashioned cookbook) as an aspiring young baker to avoid dealing with browning a meringue. orange sounds even better! 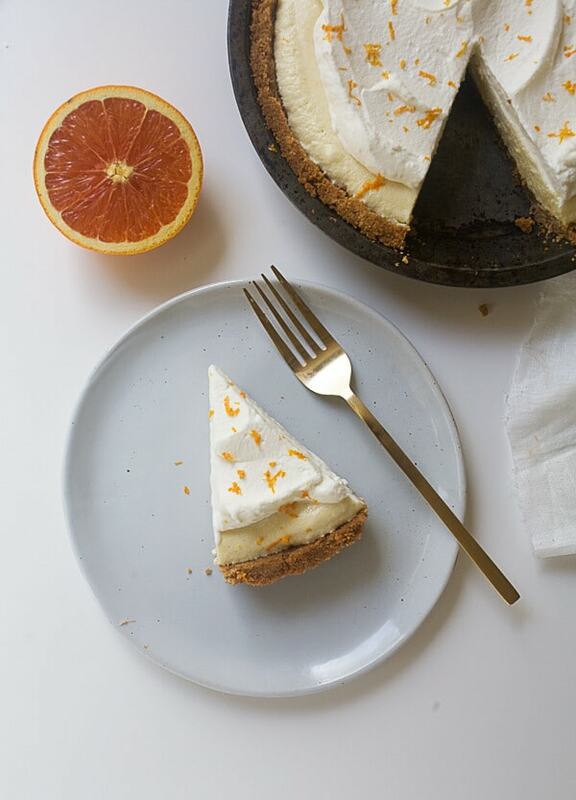 looks and sounds totally delicious – I love citrus fruit in a pie, gives such a nice acidic twist to the whole sweetness! But never heard of those crackers you use for the crust, guess they aren´t sold here in Germany….anyway a good old homemade pie crust would to, too, probably! Thanks for the recipe! 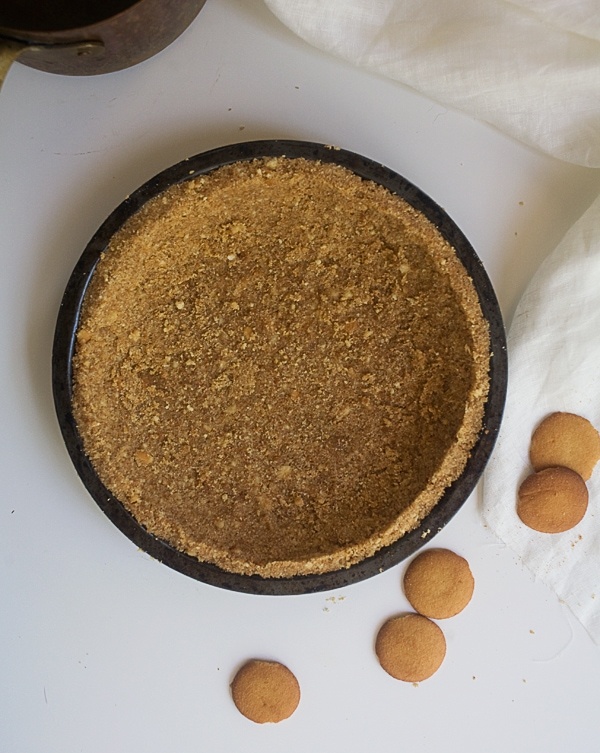 But I think a graham cracker cookie crust or regular pie crust will work, too! Thanks so much for link & reply, Adrianna! Quick question! What is the white surface that these photos are taken on? I’ve been using foam board when I do this, but it is HORRIBLE because I basically ruin them all the time if there is ever any liquid or food stains. I’ve dying to find a matte white surface like this one! Oh! This thing is great. All it is one of those white desk tops you can buy separately from Ikea (I didn’t even bother buying the legs). I got it for $5! Thank youuuu! I just bought it online! Woot. This pie is completely beautiful and sounds delicious. I’d love to try it. We want to make this pie but are confused about the reference to “drums” – what is this referring to? AHHH! It should be crumbs. That’s so weird. I have no idea why/how I didn’t catch that. Haha – no worries. That makes a ton more sense. We’ll give it a go!